It is important that if you love cars..you should live for them and not die because of them.. This is a quote by fellow blogger Sid. He has a great blog about cars and one of his latest posts focuses on drinking and driving. 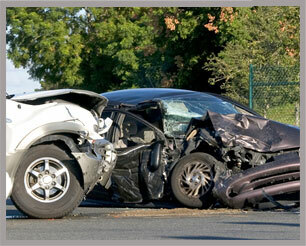 Drinking along with texting while driving are very important topics. I’m on the road twice a day everyday, and even more on the weekend and I see more adults than teens texting while driving. I tell my kids at school that accidents are moments that happen that we didn’t mean. An 8 year old can say “oops” when his bottle of lemonade spills all over the inside of his book bag, but a 30 year old can’t say “my bad” when he smashes the heck out someone elses car or has to appear in court because of man slaughter charges… At the end of the day the words “I’m sorry” can only go so far. No one’s going to say LOL, but they might have to say TTL when their family walks away from them on visiting day. No text or second round is worth it. Check out Sid’s blog here. Final note: I got more than I wanted to see when I googled for these pictures. Horrible images of senseless, life changing events. Aside | This entry was posted in Journal, Time Trials and tagged behind the wheel, Drinking and driving, DUI, DWI, LOL, safety, Texting and driving, TTL. Bookmark the permalink. 9 Responses to Safe Drivers Wanted! That is horrendous but I am so with you. I have seen lorry drivers texting going along, those people always seem to get away with it. Drink driving there is no excuse. Thanks Mart. Here in Missouri every other car contains a driver that has a phone attached to their hand…it’s crazy. The drinking thing should be obsolete, but it isn’t. It is good to be reminded of what can happen when people choose to make these risky choices. No one ever thinks it will happen to them, but the reality is that it does happen and it is not ever worth the risk. It is not just about the person making the choice–it is about all of the innocent victims that have absolutely nothing to say about the matter but are affected by the choice. We all need to be accountable for the decisions we make and think twice before choosing to do things that can have a profound, life-altering affect on innocent people. Thank you my BFF for your comment! Having kids makes us well aware of the potential risks of both drinking and texting while driving. Drinking and driving is a big no no. BIG no no. Thanks Douglas for your comment. Too true. We get very comfortable. Maybe it won’t happen to me…etc. I like the human closeness. Thanks Mom for your comment. Texting has its place when its convenient an quick. I know that’s no part of your daily communication. But if I couldn’t text people I’d have even less time to spend with the people I love. Great reminder that driving is a privilege that comes with immense responsibility.